Maria Sharapova, a Russian professional tennis player and five times grand slam winner, lost in three sets to Caroline Garcia in the first round of Stuttgart Open. Maria, who made her comeback from a 15-month ban, due to doping in a tournament held last April, won the first set very smoothly but the 31-year-old professional player couldn’t resist the determined Caroline Garcia from dragging herself back into the game through a simple tie-break. Garcia kicked off the match with a strong fightback to prevail 3-6, 7-6 (6), 6-4 in only 2 hours and 44 minutes winning her very first victory over the former world No 1 at her fifth attempt, dating back to an iconic match at Roland Garros when Gracia was a 17-year old in 2011. The game was clashed by a double fault from Sharapova at 4-4 which handed Garcia a crucial break in the decider and the world number seven clinched the contest on her serve in the next game. “I was a little more aggressive today and I returned a bit better. Finally, I can say that after seven years I have beaten her. It’s an important win,” Garcia added. Nonetheless, Garcia won the middle set on her fourth opportunity in the tie-break holding her nerve in the decider. The French topper recovered from an early break down to not only level the match, but score a thrilling victory in a pressured final service game in the perfect timing. Gear up for the Wimbledon tickets for the next round up of Garcia against a Ukrainian teenager Marta Kostyuk who beat Antonia Lottner 6-4, 6-1. The 15-year-old Kostyuk qualified for the main draw by overcoming France’s Alizé Cornet on Monday. We trust the tournament will be worth our Wimbledon ticket prices. 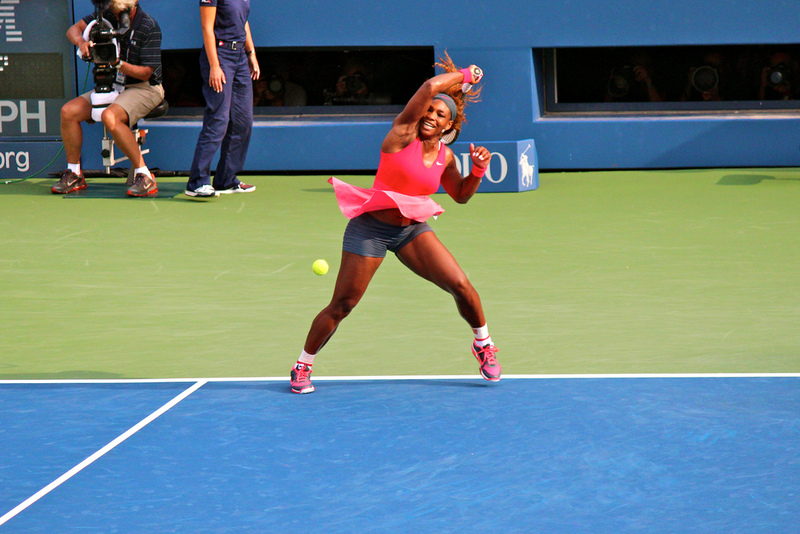 Should the Return of Serena Williams Prompt a Rule Change? Serena Williams’ return to tennis after giving birth to her daughter has prompted a seeding debate. The 23 times Grand Slam winner who went on maternity leaves for 13 months played unranked and unseeded against Naomi Osaka, at the Indian Wells Champion. What has sparked debate is that the most established tennis star that was ranked the world’s number one player a year ago, before her leave, is currently ranked 491 and can be eliminated in the earliest levels of the tournament. With Wimbledon 2018, just around the corner, this is indeed a great concern. Serena will be playing this year’s Wimbledon tennis. Get your Wimbledon tickets here. Williams has won the Miami Open 8 times earlier, but she can still not be seeded merely because she is unranked due to her leaves. The WTA does not do special seedings anymore which means that women who go on leave due to pregnancy are treated equally as those who miss due to long-term injury. WTA chief Simon said that WTA is very supportive of those players who come back from pregnancy leaves and he expected a re-examination of their seeding rules. However, Mandy Manella who rejoined tennis after her childbirth last month said that this is not a ‘punishment’ to Williams and no changes should be made to the seeding rule.